The city has agreed to pay $300,000 to settle police lieutenant Washington Griffin’s lawsuit alleging discrimination and racism within the Paterson police force. 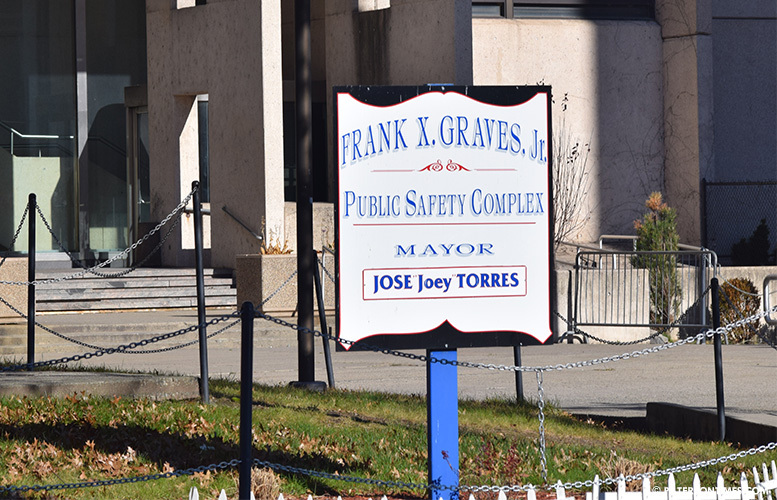 Council members approved the settlement in a 4-2 vote on Wednesday night without “conceding any form of negligence or liability” following a closed-door meeting with their attorney and police brass. The council had an audibly contentious discussion with administration officials at the closed session. During the vote, some council members saw the settlement agreement as “unfair” to Griffin. Police director Jerry Speziale said there have been reforms. He said there is now staff inspections, civility tests, integrity tests, and monitoring of halls. There has been changes at Internal Affairs (IA) as well, he said. “I’m standing against unfair treatment,” said Michael Jackson, 1st Ward councilman. “I don’t think it’s a fair settlement.” He disagreed with Speziale and said very little have been put in place to avoid similar cases in the future. Jackson said it’s wrong for the city to force Griffin into retirement. He said this also sends the wrong message to the lieutenant’s alleged tormentors in the department. Griffin has been working in the city since 1989. Law director Domenick Stampone said the city is not forcing Griffin to do anything. Griffin’s retirement is scheduled for fiscal year 2018, according to a document released late last year that stated he would receive $156,750 in severance pay. Both Jackson and Cotton voted against the settlement agreement. Cotton followed Jackson, who criticized the settlement. During the vote, Cotton checked to see whether the measure would pass without her vote and then voted against the settlement. “We treated this as if nothing happened,” remarked William McKoy, 3rd Ward councilman. He said taxpayers are now on the hook for an administrative failure. Giordano’s attorney has denied his client ever made the remark. There were also racist messages that were on the bathroom wall of the police headquarters. Three days later, Griffin learned other officers at the Internal Affairs had heard the alleged remark, but took no action to investigate the matter. He heard Giordano would be transferred to the Property Division without an investigation. Giordano, who worked at cellblock, was transferred to the Property Division the next day. Griffin submitted a report to chief William Fraher about the transfer and the alleged racist comment urging the now former chief to open an investigation into the statements. Griffin went on a pre-planned almost month-long vacation. Upon his return, he learned sergeant Manny Hernandez was assigned to investigate the alleged racist comments. He inquired about the status of the investigation and Hernandez told him the investigation was still occurring, according to the lawsuit. The lieutenant subsequently learned that Carlos Santiago, a civilian employee who worked as a police aide in cellblock, told Internal Affairs he had heard the alleged remark made by Giordano aimed at Pacelli, who has been working in the department since 2001, according to the lawsuit. The lawsuit says Santiago indicated that Giordano stated he “hates niggers” and that he regularly makes racist jokes. Moreover, Santiago indicated Giordano also “regularly makes racist jokes about Puerto Ricans,” claims the lawsuit. In one remark, Giordano advocated for the United States to bomb Puerto Rico, reads the lawsuit. On September 15th, 2015, Santiago was transferred to the Department of Public Works following his statement to the Internal Affairs. He was placed on duty there as a garbage truck driver. After learning about the transfer, Griffin approached captain Richard Reyes, sergeant Rick Botbyl, and detective Priscilla Caraballo. Reyes was the head of the Internal Affairs at the time while Griffin was second in command. Griffin told Reyes and others that Santiago’s transfer and Giordano’s lack of discipline “must mean that the PPD administration agrees with Giordano’s comments” since the only person who heard the comment was moved out of the police department. This sparked a dispute between Reyes and Griffin. This interaction is described in Griffin’s lawsuit as “hostile” and “confrontational.” Reyes suspended Griffin for insubordination, claims the lawsuit. Griffin was suspended for 30 days. Three other African-American police officers have filed lawsuits alleging racism in the police department. Paterson is a corrupt cesspool.